Medicare Fraud - Civil or Criminal? 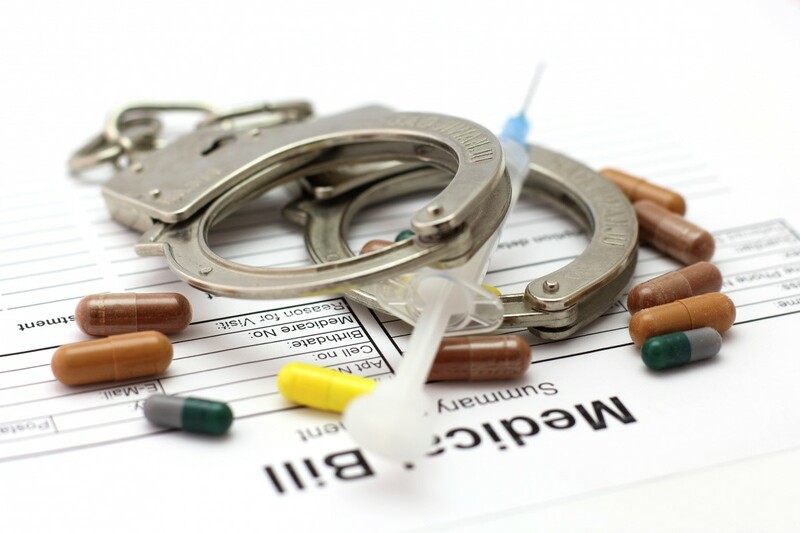 Medicare Fraud – Civil or Criminal? Many of the Medicare fraud stories we cover end up with someone going to prison. When we represent whistleblowers in state and federal False Claims Actions, our goal is both to stop fraud and to earn our clients the maximum award monies possible. Questions frequently arise as to when and why Medicaid or Medicare fraud gets prosecuted criminally versus civilly. Hopefully this post clarifies the issue. Americans spend trillions of dollars each year on healthcare. Much of that money comes from tax dollars – Medicaid and Medicare. Unfortunately, tens of billions of dollars of our tax dollars are lost to fraud. Some experts say the amount lost to fraud is as high as ten cents on the dollar. Healthcare fraud comes in many shapes and forms. Clinics billing Medicare for services never performed. Doctors performing unnecessary surgeries just to run up their bills. Hospitals paying kickbacks to doctors that admit more patients. Drug companies hoping to increase profits by making drugs offshore in unsanitary conditions. Patients can get in on the act by seeking unnecessary treatment simply to obtain painkillers or using someone else’s identity to receive services. Medicaid and Medicare fraud is rampant. Much of our bloated healthcare costs can be chalked up to mistake. Missing prevention opportunities, inefficient delivery of services, excessive administration costs and inflated prices are usually indicative of mistake, not fraud. Medicare fraud requires intent. The person committing the fraud does so knowingly. Healthcare fraud violates both state and federal law. If the fraud involves state tax dollars, such as Medicaid, whistleblowers can file a suit in many states and receive a portion of whatever the state recovers from the wrongdoer. Many states have healthcare False Claims Act laws. If the fraud involves federal dollars – Medicare, prison healthcare, VA benefits, etc. – the federal False Claims Act kicks in. That law allows a whistleblower to receive up to 30% of whatever the government recovers from the wrongdoers. Medicaid and Medicare fraud can also be prosecuted criminally. Sometimes the behavior is so bad or the schemes so large that prosecutors decide to criminally prosecute the offenders. Section 287 of the federal criminal code (Title 18) makes it a felony to file a false claim seeking reimbursement a government program. Section 1001 is the government’s general fraud law, which makes it a felony to defraud the government or make false statements. Both laws carry a maximum sentence of 5 years imprisonment per offense. Section 1347 is a law specific to healthcare and Medicare fraud. That law carries a 10 year sentence per violation that can be doubled to 20 years if someone suffers a serious injury as a result of the conduct. If a patient dies, the sentence can be life. The Justice Department has the ability to both criminally prosecute an offender while also proceeding civilly under the False Claims Act. Most states have similar abilities. Typically whistleblowers can’t share in any fine monies that may result from a criminal prosecution but do get to receive a portion of the civil recovery. You may be entitled to a sizeable award if you have inside information about Medicare fraud or other fraud against the government or a government program. As experienced whistleblower lawyers, our job is to help our clients stop fraud and earn the maximum possible award. Sometimes that means insuring that monies recovered from corrupt doctors and clinics gets collected as civil recovery and not criminal fines. Think you may qualify? Give us a call. The rules to collect an award are complex. Simply picking up a telephone and calling a Medicare fraud hotline doesn’t get you an award. Whistleblowers must file a federal lawsuit under seal in order to qualify.